Yup.. April Showers bring May Flowers. 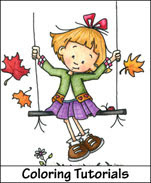 What a perfect theme for this week to follow Jeni's April Showers challenge last week. Woot-woot!! Becky, just email Sassy Cheryl to arrange for your shopping spree. You get to pick two images from her collection. The tough part is just picking two! Enjoy, have fun coloring them up, and congratulations to you. Our sassy team, led by Ms. Sassy Jeni (aka Flip Flop) had a blast creating cards for the May Flowers theme. Here's what Jeni and the sassyettes have to share with you to get that mojo stirring. Well, the Sassy gals have created some cards for your inspiration and now it's time for you to take that inspiration and show us your interpretation! Just link up your creation here with InLinkz (below). 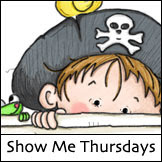 You can link to your online gallery or blog post. 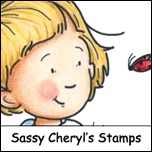 Of course, we would love to see your Sassy Cheryl image, but you can use any image in order to play along with us - just enter only once and follow Jeni's theme for this week. 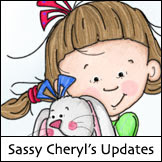 Don't forget.. one lucky person is randomly selected to win two free images from Sassy Cheryl's shop. Just drop me an email and I'll get those images credited to your account. Ladies. . . as always, stunning cards. Loving the theme for this week. PERFECT! It's so fun to come here each Tuesday to see such a fantastic Art show. Love the challenge Jeni. LOL, why do I have a frog head where my card should be? Wow lots of lovely May flowers, fun challenge thankyou. Adorable cards DT!! ...and great challenge! Fun challenge and great DT samples! Fabulous cards this week ladies. Thanks for playing along with the Sassy DT! Good luck in the drawing. Hope to see you again next week.